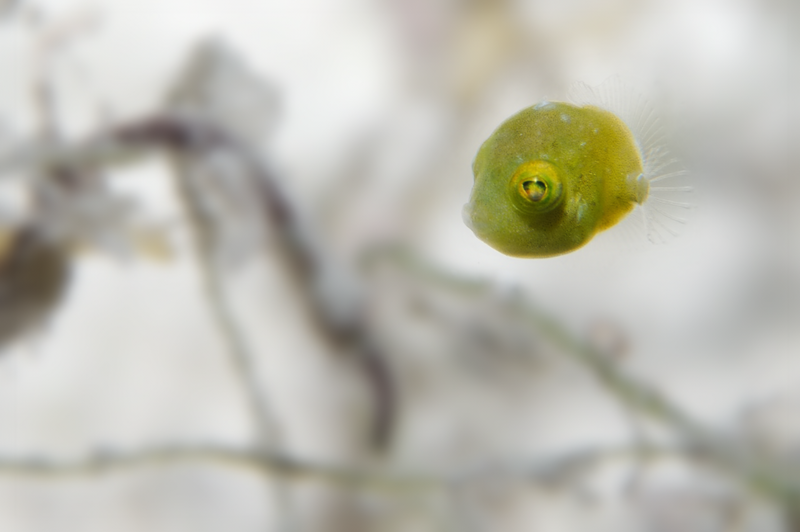 A few years back during a trip to Mabul in Malaysia, I found this small little fish hiding in the weed - no bigger than 0.5 cm (0.2 inch). I've always assumed this to be a juvenile *something*, but I've never been able to identify it properly. Does anyone know what this thing is?